Home > Illness > What If a Cat Dies While Boarding at Your Cattery? No one takes their cat into a cattery thinking that it is ill or that it might die. 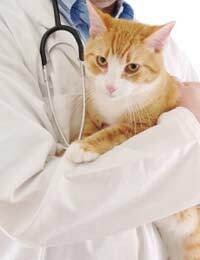 A cattery owner should ask customers if the cat has any health problems or if there is anything that they should look out for. The last thing a cattery owner expects or wants is for a cat to die whilst in their care, but it can happen. When a customer leaves their cat they should be asked to sign a booking form. On the form there should be a disclaimer. Normally it would say that if the cat dies of any cause whatsoever the cattery owner cannot be held responsible. However this cannot take away the stress and anxiety which the cattery owner will face if a cat dies. If a cat shows signs of illness it should be taken to a vet, if it dies at least you know you have done the right thing. The worst scenario is if a cat dies suddenly with no apparent cause. If a cat dies whilst being cared for in a cattery the first thing you should do is let someone know. Normally the customer will leave the number of a person to contact in an emergency. If possible try to contact that person, as they should be able to guide you as to whether you should inform the owners yourself, or if they will do it for you. If you only have the owner's mobile number you have no choice but to contact them yourself. It is pointless delaying as they will need to know eventually. Hopefully they will be able to instruct you what to do next. At this point the customer might be angry and certainly they will be upset. You can only explain exactly what happened and ask what they would like you to do. Some owners might want the body kept until they get home and your best course would to ask the person's vet if they can help you. A veterinary practice might have facilities that you haven't. Eventually you are going to have to face the owner. They will have questions to ask, you can only give them the facts and be sympathetic, they must realise that it is the last thing you wanted to happen. Naturally there will be no charge to the customer even if the cat had been taken to the vet before it died. There are many insurances policies for catteries. Before you take out any policy, check what you will be covered for. Most will cover any veterinary bills and loss of boarding fees if a cat dies. Some will also cover the cost of a replacement cat, that sounds hard, but if the cat was a persian, siamese or other pure breed they could cost several hundred pounds. Insurance is essential for peace of mind. Death of a cat is stressful enough without the added worry of cost. Some owners could ask for an autopsy on their cat. If the animal came into the cattery in perfect health it is natural for the owners to want answers. If the cat had shown signs of illness and had been treated by a vet there should be no reason for an autopsy. The vet should be able to give the owners the answers they are looking for. If a cat dies suddenly and unexpectedly, there would be more reason for the owners to want an autopsy. Your insurance policy should cover the cost, but it would be worth checking before you buy a policy.